Aikido is a non-competitive martial art. Aikido is a Japanese martial art created in the early 20th century. The origins are based on the samurai arts of jujitsu and sword, combined with traditional Japanese spiritual ideas. A.A. is a fellowship of men and women who share their drinking experiences with each other so that they may solve their common problem and help each other. The only requirement for membership is a desire to stop drinking alcohol. Modern American Square Dance Club. £2.50 per session. Light Refreshments Available. Relax with other local people sharing coffee and cakes. Just come along and meet others in a friendly atmosphere. Have coffee and cakes and chat over what’s happening here and beyond. 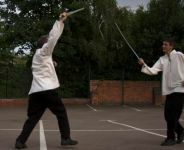 Self defence unarmed and armed with medieval fighting including sword fighting techniques which are displayed at public events. Find us on Facebook. Just come along and challenge someone at Rummikub or another game. Board games of all descriptions. Table tennis for the fit! Refreshments served. No games nights during August. Seated Exercise Class (including coffee) Some classes taking place during summer holidays. 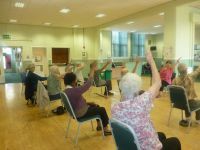 A seated exercise class to help improve energy levels, increase strength and flexibility and reduce stress, while having fun. Surgery for residents of Dunkirk and Lenton Ward. Screening anime, manga library and social events. To Promote culture of Kerala and south Indian Arts. Spiritual night out with singing, dancing and feasting. Spiritual discourses based on the teachings of HDG A.C.Bakthivedanta Swami Prabhupada - founder Acharya of ISKCON. Free Admission and free vegetarian food. Every other Friday 19:30 - 20:30 we also hold a free kids Bhagavat Gita class. We offer Health & Safety training, including the full range of first aid courses. Some of our courses are run at Dunkirk Community centre but we also deliver training at customers premises. Third Friday of each month from 7pm; not held in August. Teams of four compete for a £10 prize and the kudos of winning a challenging quiz. Good fun and great company. Cost £2 per person. Oh, and you get supper too. Just come along, on your own or bring a team. Supper at 7 pm. Quiz at 7.30.Not during August. Slimming World weight loss support group. 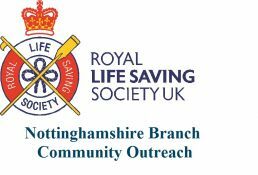 Founded in 1987 in Scotland, equivalent of the Duke of Edinburgh’s Award but for people who are 50+ - Nationally and Locally. Committee meetings are held 5 times per year. 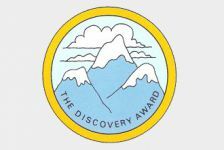 The local group (Trent Discovery) hold committee meetings 5 times per year and have a ‘taster/training day’ in March.